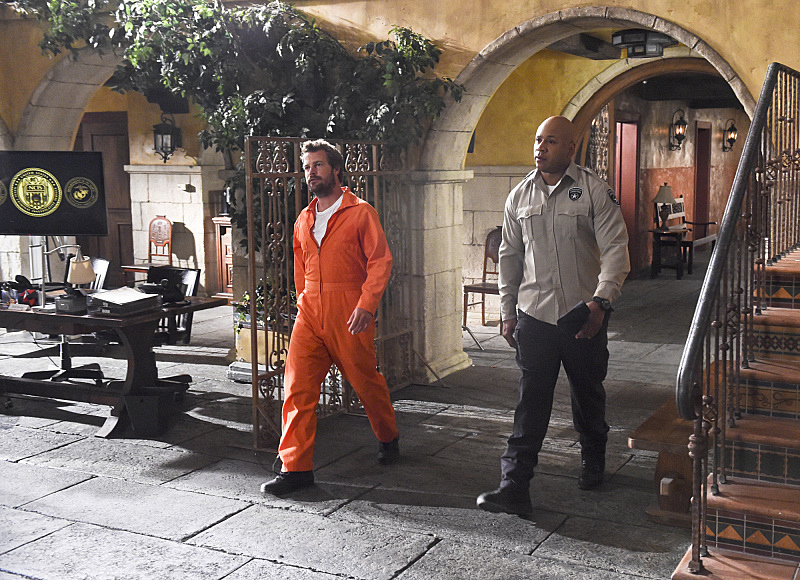 Pictured: Chris O'Donnell (Special Agent G. Callen) and LL COOL J (Special Agent Sam Hanna). The NCIS: LA team discovers that one of their own is compromised when they investigate the murder of a Navy contractor involved in illegal transactions of confidential data. Meanwhile, Hetty is under investigation in Washington, D.C., when the Department of Justice arrives in L.A. to investigate the team, on NCIS: LOS ANGELES, Monday, Oct. 6 (9:59-11:00, ET/PT), on the CBS Television Network Photo: Ron P. Jaffe/CBS ©2014 CBS Broadcasting, Inc. All Rights Reserved.